This is perhaps the hardest post I’ve ever written…but I want to tell you all what’s happened. 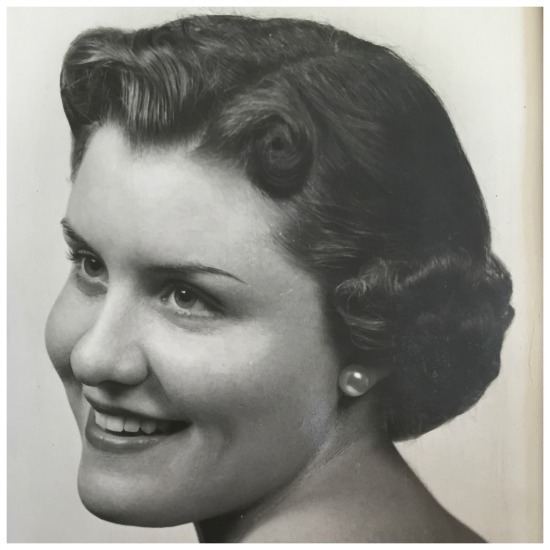 My mom peacefully passed away on Saturday morning. My dad and I had been taking care of her and the last few days of her life were quiet and pain free. She couldn’t talk to us but we talked to her. I am telling myself that she heard us, even though I really can’t be sure. My emotions are up and down. I have moments of happiness when I remember something good, and moments of intense sadness when I think of my life without her. I will be OK though…I know that. I’m not so sure about my dad but I am thinking positive. My prayer is that he will be able to find a way to live the rest of his life not in sadness, but in thankfulness for all he had with my mom. Her funeral is in two days, on Thursday. I will be gone for a while but I will be back. I want to make a fresh start and come up with new ideas. It’s been a struggle to get my creative juices flowing but I hope that changes. Again, I am thinking positive. I will need to figure out a new normal and you all will be a big part of that. With a grateful heart, I thank you for your kind thoughts and prayers. I just discovered your wonderful blog this week, I am so sorry to hear about your mom. Wishing you and your family peace and comfort during this difficult time. Ann, I’m just seeing this post and I just wanted to stop by and say how very sorry I am. I am so sorry for yours and your families loss. I pray that time will make the heartache less. Ann, I am so sad to read this news. I pray for your family as they mourn the loss of your precious mother. I’m so sorry for your loss, Ann. Keeping you and your family in my prayers through this difficult time. So sorry to hear of your loss. My mom passed 4 1/2 years ago and I have not recovered. I doubt I ever will. That’s not to say that I live in constant sadness and grief – I don’t. I find constant joy in my family – especially my grandkids. It really does put things in perspective. What memories am I leaving my children and grandchildren? How will my friends and family think of me when I am gone? My brothers and I have been ensuring our dad has at least a bit of a social life every day. Isolation is the worst. The “firsts” are especially difficult too (Mother’s Day, her birthday, your birthday, etc.). I’m glad your father has you to rely on. What a blessing that you three were together when your mom passed. Keeping you in thought and prayer for the days ahead. I was with my grandson and away from my computer for a couple days. I’m just seeing your post now and want to tell you how sorry I am. I know the feeling all too well as I lost my Mom just after i turned 18. She taught me so much in those few years, but not nearly enough as I’ve found out even 40 years later. Your Mom was beautiful and I’m sure she had the same beauty inside. It is so hard to remember the good memories sometimes, when your sadness is so fresh. Each special day and each new holiday can be hard, but over time and little by little, life will become more normal. My thoughts and prayers are with you and yours. So very sorry to hear about your Mother. I know it was a comfort that you were able to care for her & to be there with her. You only have one Mom & it’s so hard know you won’t have more time with her here. But the time will come when you have forever to be together. God Bless, Carolyn M.
I am so sorry for your loss. No one can ever replace a mom. However, most of us will experience such a loss and go on. Take care of yourself. I’m so very sorry for your loss. I lost my mom 4 years ago, but in reality we lost her 3 years before that to dementia. It is a cruel disease. Our only comfort was, she wasn’t in pain, she was in her own little world. The hardest part was when she no longer recognized us. She was a kind, gentle soul. My heart goes out to you as you grieve. Remember to be kind to yourself. Wishing you Peace and Strength as you remember, celebrate and grieve your Mother. Each of us is stronger than we know. She was absolutely beautiful and I can see that you look like her. I lost my mother 9 years ago and some days it still is so tender and raw. But I know that she would tell me to carry on. To live and to love and to share God’s love with everyone I meet. Prayers to you and your family! Dear Ann, I don’t know you personally but have enjoyed your blog for sometime now and feel like I know you somewhat through your writing. I’m so very sorry to hear of the loss of your mom. I’m thankful that it sounds like she had a good long life but that doesn’t seem to help the massive hole she’s left behind. My heartfelt condolences to you and your dad as you work together to get through this. May each day bring a little more sunshine to you both! I don’t know you personally but enjoy your blog and try to read it when I can. Please accept my condolences as you grieve the loss of your mother. Other posts have said the same thing, “it doesn’t matter what age we are, it hurts so bad to lose a parent”. As I read your blog post just now I glanced over at your framed printable I keep on my desk, “Trust the Journey” (with the bird on the bike.) That’s all we can do, Trust the Journey, and know we are…. where we are meant to be. Your Mom will live on in many little ways through you. So sorry for your loss. It doesn’t matter what age we are, it’s difficult to lose a parent. Love be with you. My deepest, hearfelt condolences to you & your family at this most difficult time. You & your family will continue to be in my prayers. Prayers are with you and your family. I know how hard it is. Ann, I am so so sorry for your loss. Prayers with you during this difficult time. I am so sorry about you losing your Mom. I know how heartbreaking that is, as mine passed away a couple of years ago. Your Mom was very pretty! Her personality shines through that photo. I find it helpful to remember that my Mom lived a long life, and look back at our times together and remember all the things she enjoyed. Through her influence I enjoy decorating, crafts, sewing, and making a home feel like ‘home’. She always wanted to cut flowers from the yard and display them in the house, and absolutely loved to rearrange the furniture..never knew when I got off the school bus where the furniture would be! We joke about it still in our family, lol. Mind, don’t stub your toe on something that wasn’t there this morning! Well, I have run off at the mouth, so to speak, but wanted to let you know that I sympathize..and send my regards. So very sorry for your loss. May you find comfort in happy memories. I just had a chance to read this. I my deepest condolences to you and your family and Dad. Just know she did hear you when you would talk to her. I will be keeping you in my prayers and I pray that the Lord give you peace and comfort souring this time. Only time and the Lord will heal your heart. Take all the time you need in the Healing process, We will all be here for you! So sorry to be just reading this this morning, but wanted to echo what so many others have already said. This takes time and you will feel those “stabs in the heart” at the most unexpected moments. But, you will get through this. The tougher part is is watching your dad. We lost my mother 6 years ago. I’m think of her each day. So sorry for your loss. Praying for your entire family during this emotional time. Ann I’m so sorry for your loss,I am just seeing this now. I will keep your family in my prayers. Just wanted to share you are in my thoughts and prayers. I am so thankful for all the time you had to make memories with both your Mom and Dad. Clearly you are grateful for the time and memories you all shared. My mom passed when I was 10 and my Poppa when I was 29. Life can be unexpected, yet when we treasure the good and allow the happy times to fuel future memories we honor the love and care shared with those in our lives. You are such an inspiration to many and I am certain your future moments will be further inspired with memories of your Mom. Ann, I am so sorry for your loss. You have been an inspiration to me and so many others, and I know your Mom was very proud of you. Take care and God bless you and your family. Like many others who have commented, I lost my Mom 4 years ago. I am still so incredibly grateful that I was able to take care of her at home the last years of her life. A few days after she was gone I was in the grocery store, and realized I almost forgotten to get the small Fuji apples that she liked. I took 2 steps, stopped dead in my tracks, and burst into tears right then and there. It will be a process, so please give yourself all the time you need. Your blog, thoughts and ideas are always such a joy. We will all be here waiting whenever it is right for you to come back. May your memories give you and your family peace and comfort. Thank you so much for sharing…I already had a moment like this! I’m so sorry to hear of you’re dear Mother’s passing. I’m keeping you and your family in my prayers. Ann, you have been such an inspiration to me through your blog! I look forward to seeing your posts and rush to see what new ideas you provide for me! My heart goes out to you and your family during one of the most difficult times we have to deal with in this life, the death of our parents. It’s hard, but something we must face. My mom fought a hard battle with Colin cancer for 7 yrs. By the end of it, I could honestly say to my heavenly Father, please take her. Her pain was more than her family could bear to watch. There’s not a day that goes by I don’t think of her and say to myself, ” now what would mom have done in this circumstance”? I smile and say to myself, “figure it out Deb, you can do it!” And somehow, I do! May you find comfort in God’s arms wrapped tightly around you, and knowing many friends in blog land are lifting you up today! Deepest condolences on the loss of your dear mother, Ann. I hope that you’ll soon find a place where you can begin to put one foot in front of the other and emerge from your grief. Best wishes. I’ll be looking forward to your return. I went through this 11 years ago and it’s still so hard to think that my mom is gone. I can tell you that it gets easier. I hope that helping your dad will ease your transition some. You are in my prayers. So sorry that your mom is gone. I’ve been through it and know what it’s like. Eventually you do get to that place where the memories of her are happy ones and the sadness slips away. All the best to your father as he adjusts. My mother died 2 years ago. Still seems like yesterday. No matter how old she was or I am, she was still Mom. I am so sorry for your loss. Oh, Ann! I’m so sorry! I know your heart is breaking and I totally understand as my little mother went to heaven a few years ago and sometimes even now when something happens, my first thought is to call and tell her. I pray for your dad, you and your family. Take all the time you need and we’ll be here when you come back. Ann, as difficult as it is to loose a parent, please rest assured that she is on the most awesome journey of her life – back Home to her Father. It will be a difficult transition for you and your dad, but rest in God and knowing your mom is truly peaceful. Prayers for you all are going up, as well. Ann, my prayers are with you and your Dad. Your creative juices will flow once again ~ you just need time to absorb and work through your mother’s death. I am so very sorry for your loss. My Mom was a nurse and always told me that your hearing is the last sense to leave you. Rest assured that your mother heard you. She will never be any further away than the memories you carry with you. Praying for you at this difficult time. Ann, my prayers are with you and your father and family at this time. So sorry for your loss, Ann. My condolences to you, your Dad and family. My heart is saddened at the passing of your Mother, dear friend. at this difficult time in your lives. You have my deepest sympathy in the passing of your . The last thing my mom said to me, because she could barely talk, was, “Quit worrying.” I chuckled because she taught me how. Good luck to you and to your dad. Sounds like he has a wonderful daughter. May God be with you and your family as you grieve your mother’s loss. May you find strength in him, his word and each other. Cherish your memories and celebrate her life. I admire your willingness to share this. I believe you’re helping so many others going through this as well! God bless you. So sorry for your loss. Condolences and prayers to you, your dad and all who knew an loved your mother. It is hard to deal with the death of your mother; you will be in my prayers as you learn to live in this new life. And I offer prayers of thanks for the obviously good and loving life of your mother. Deep sympathy in the loss of your mom. God Bless! So sorry for your loss, Ann. My parents are both still alive, but they are 86 and I know how precious every day is and how it can so suddenly change. Prayers for you and your dad. I know my dad will be lost without my mom should she go first. Someone once said to a grieving spouse, ‘She is just one step ahead of the rest of us.’ I found that to be comforting. Maybe your dad will too. God bless. through these coming days and weeks. My prayers are with you and yours. I know what everyone of you going through as i lost my mom in 2009 . Deepest sympathy to you, your dad, and your entire family. Keeping you in our prayers. I was very sorry to hear of the loss of your mother. In her picture she is very beautiful. I know that you and your Dad gave her beautiful care. I am sending prayers and loving thoughts to all of your family. As you said so beautifully, peace and grace. So sorry for your loss. You are in my thoughts and prayers. I too, am on a grief journey. Our beautiful daughter passed away in 2013 and it has been very difficult. The separation is quite challenging but we have the hope that we will be reunited in heaven. Deepest sympathy to you, your dad, and your entire family. Keeping you in my thoughts and prayers. My deepest condolences to you and your Dad. My prayers are with you. So sorry for your loss of your precious mother and your father his bride. May you both feel the strength from all the prayers being said for you all. I have walked in your shoes. When you get down just remember your sweet memories and your mother is in your heart. So sorry for the loss of your Mom, It has been I year in Jan since I lost my Dad and I cherish those last days my family and I shared in caring for him in his own home as he slipped away quietly. Know your Mom knew you were with her as she entered her heavenly home. Ann I am so very sorry for you and your Dad’s loss. It is so very hard to lose a parent. I lost my dad suddenly so I understand what you are going thru. Keep the memories close to your heart and she will always be with you. Hugs to you both. I am so sorry for your loss, Ann. January 2nd was a full year since my Mom died. I think of her every day. Sometimes I am happy because I was so lucky to have had her for 60 years and she was an amazing Mom. Other times I still cry when some memory is triggered and I know she is no longer here. She was my everything and I was very close to her. Anyway, take time for yourself. Smile when you want to and when you want to cry, just do so. Everyone who knows and loves you will understand. I will keep you and your family in my prayers. Thinking about you…. I am reading this a day late but wanted to let you know that I’m sorry to hear of your Mom’s passing. In time you will smile at the memories and in the meantime, it’s ok to grieve her loss. Just so you know, there is absolutely no doubt in my mind that your Mom heard you when you spoke to her. Moms do that…sending prayers your way. So sorry to hear of your Mom’s passing. I lost my Mom two years ago this coming September. I take joy in the memories – her smile, the sound of her laughter and all of the special things that made her who she was. These things will never leave me nor will they leave you. Hugs and prayers. I have never commented before but your blog is a favorite of mine and I felt inclined to let you know I am sending well wishes your way from Colorado. I wish you peace in this great time of mourning. I am so very sad for you for the loss of your mother. My mother had been gone now for 16 years and I still miss her. The new normal is different for sure. Rest on God’s love and His comforting arms. Rely on Him to bring you and your dad through this. Praying for strenghth for you both at this very difficult time. I am so very sorry for the loss of your mother. I am praying for you, your Dad and your family. May you all find comfort in the peace God gives. Praying for you and your dad at this difficult time. I lost my mom 3 years ago. It is hard but it does get better. Ann, very sorry to hear of your Mothers passing. I’m so terribly sorry Ann to hear the news of your mom’s passing. I’ve been praying for you and your family for awhile now and will continue to do so. Lean on your faith during this difficult time and have peace and comfort that only He can give. Oh Ann, I am so sorry for the loss of your mother. I lost both my parents and my only sibling, so I know that heartache and pain you’re going through. May you be surrounded by love, peace and sweet memories. I am so sorry for your loss. I know the emotions that you feel having just lost my wonderful Mom almost two years ago. My thoughts and prayers are with you and all your family today and all the days ahead. Your Mom will live forever in your hearts and the comfort is knowing we will see them again. May God wraps his living arms around you and assure you that your Mom is ok.
My sympathies to you and your family. I also lost my mom this year. Praying that God’s peace will surround you. I don’t personally KNOW you, Ann, but I do know what it is like to lose your mother. It is very difficult and a challenge. But with spring, comes new life and you will see the sunshine again. Prayers for you and your dad to find peace and comfort. I am sorry to hear of your moms passing. Prayers for you, your father and your family. So sorry for your loss. Know you will be a great encouragement for your Dad. May God bless you and your family with His Peace That Passes Understanding (Jesus). I am so sorry to hear about the loss of your mom. I know how you feel, I lost my mom over 10 years ago and I watched my father slowly meltdown without my mother. He lived almost 3 years and I say lived but he really didn’t, he never accepted her death and he would ask where was she until the day he died. I hope and pray your father doesn’t live his time without your mom like my dad, because it’s not a good look to watch. I will keep you and your family in my prayers. Ann, Special thoughts to you at this difficult time. Oh, Ann, I am so very sorry to read about your dear mother… I can’t imagine the emptiness that your heart must be feeling right now. I am already dreading that day when I can no longer talk to my mom; it must be so difficult for you and your dad. I hope that happy memories of special times you and your mom shared will help carry you through these sad days… Wishing you peace and sending a warm hug your way. I’m so sorry to read about your loss. My thoughts and prayers to you and your family. I’m so very sorry to read of your Mom’s passing. I sincerely hope you, your Dad and family will find the strength to get through these next few days and that the following weeks and months will somehow bring you peace in knowing that your Mom is no longer in pain. She’s with all of you in your hearts. God bless you all. I am so very sorry for your loss Ann. Thoughts and prayers are with you…. My sincere sympathy, Ann. My Mom passed away in October. Like yours, she couldn’t speak, but we talked to her. She was in a lovely hospice facility, and their care for her was amazing. Such a comfort to us in a difficult time. We didn’t have a funeral (she had donated her body to science), but we had a memorial service with a large gathering. We all went to eat at one of her favorite restaurants afterward, and had a wonderful time sharing stories about Mama and what she meant to all of us. I hope you have the chance to do something similar. It was heart-warming to hear how many people loved her. I pray for peace for you and your Dad. Ann I am so sorry to hear of your loss. You are in my thoughts and prayers. Praying for you, your dad, and your whole family. Sorry for your tremendous loss.I pray you will find peace. I am praying for you, your family, and especially your dad. Thanks for taking the time & energy to let us know. Take all the time away you need; we’ll be “here” when you’re ready to come back. I’m so sorry to hear of your Mom’s passing, my sympathies go out to you and your family. Hoping you will find comfort in all the wonderful memories you have of her. I am so sorry for your tremendous loss and pray the Lord will comfort you and your dad and the family knowing that He is the Comforter and Keeper of our souls. We know that whosoever believes in Jesus shall not perish but have eternal life (John 3:15). Ann, I just read through all these beautiful, heartfelt comments. No new words, just adding my prayers and condolences to the many others. God bless you and your father. Ann, I am so sorry to hear of the loss of your beloved Mother. I will keep all of you in my thoughts and prayers. May your Mother be cradled in God’s loving arms, surrounded by all of Heaven’s Angels…. I’m grateful for having found a woman who writes this blog who has such a kind heart. Take care of yourself. We will be here when you are ready to come back. Ann, I so enjoy your ideas and I’ve learned from you. May God comfort you and your family now and in the days ahead. Praying for you. I am on the same journey that you’ve been travelling with your Mom Ann, and so offer my deepest sympathy. May the knowledge that you did ever thing you could think of, to love and care for her, be of comfort in the coming days and weeks. Hang on to each other as you share treasured memories. My heart goes out to you…..my deepest felt sympathy! This is a very difficult journey….I know from experience….take time to grieve because that will be part of your healing!! My sincerest sympathy. I lost my Mom in October after a few months of illness. I know she is in heaven with my Daddy and the Lord and that gives us peace. And, she is also able to do the things that she was no longer able to do. That is comforting. We miss her but we have wonderful memories that are special. May you continue to enjoy the special memories of your Mom and may you make more special memories with your Dad. God’s Blessings to you and your family! May you feel His comforting arms around you. My sincerest sympathy for you. Prayers for you and your family..for much peace and a time of celebrating sweet memories. Dear Ann….My heart goes out to you in this time of sadness. You have my deepest sympathy for your loss. What a beautiful woman she was. Be so proud of her as I am sure she was of you in her lifetime. Take care if your Dad…. My deepest sympathy to you and your family on the loss of your mother. Sending condolences, your mother looks lovely. Feel blessed she was yours. I’m so sorry for your loss, Ann. May the Lord use your many fond memories and photos to help heal all of your hearts. Sincerest sympathies to you and your family. May God bless you and give you strength for the days ahead. Peace and bless your soul!!! I’m sorry for your loss. May your Mother rest in peace and may you find comfort in that. Oh Ann, you are so in my shoes. I went through the loss of my mother in 1998 and I will always remember that she couldn’t talk. I said my peace and gave her message once or twice. She laid there for 7 days. What a wonderful mother she was. I was an only child and after mom left it was dad and I. I took care of him till he died. They both died in my house under my care. That is something I will always be thankful for. Dad lived another 2 years after mom left. I am sure you will find your peace and feel her presence as I do many times. You can be proud of the good daughter you have been. You have my love and hope all goes good for you from now on. I know you will find your road to travel. I am so sorry. You will always have her in your heart. Ann, I am so sorry for your loss. My wish for you and your dad is that the love of friends and family carry you through your grief, and may your hearts soon be filled with wonderful memories of joyful times shared together as you remember a life well lived. You, your dad and all of your family are in my prayers. So sorry for your loss. Prayers to you, your dad and family. Ann, I’m so sorry to hear about you losing your mother. We are never, ever ready to let them go. My condolences to you and your family. May you go easy on yourselves during these difficult sad times. God Bless. So very hard to give your mother up. It does get better with time. Praying for you and your family. I am so sorry. Your mom was the same age as mine is. I will pray for you and your loved ones. We are so sorry for the loss of your mother and all that comes with the passing of someone so loved. I hope that you will find comfort in knowing the gift you were given in being able to care for her and the caring gifts of love and compassion she was able to receive from you as well. In my nursing career I have taken care of many patients who have been in a comatose state during the course of their illness and recovered. The overwhelming majority all stated they were able to hear, even when unable to respond. Please take the time you need to refresh and recharge. We will be here patiently waiting. Prayers to you, your father and family. Ann, you”ve been a good daughter. I’m sorry for your loss. My mother died some time ago, but I still miss her every day. Be well and take care of yourself. Oh Susan, I am so sorry to read this info! Go forward knowing our God never makes mistakes! Your Mom is now pain free and rejoicing in His love. I pray that you and your Dad shall find peace, comfort, and strength during this grieving period! I know your memories of you Mother shall be a comfort for years to come. . . maybe not now, but in time they shall! I am sorry. I have been in your position. Part of you is glad she is beyond any suffering. But there is the part that is trying to figure out how you will go on without her. Thoughts and prayers. I am sorry for your loss. I have been there and it is a very emotional time. My thoughts and prayers go to you and your family, I lost be dear mother on December 19th.2015 after a long fought battle with dementia.. My Mom was a loving and devoted wife, mother and grandmother. We miss her terribly, but feel relieved that her suffering has ended. I feel your loss. I know each day you will have both happy and sad feelings, but you will have the satisfaction of having a wonderful mother and being a daughter that was dedicated to her. I will remember you and your family in my prayers. Thank you for sharing this most personal time with everyone. She had to be a wonderful woman to have such a caring and attentive daughter. You are exactly where I was two years ago at this very time of the year. Hard times..I think a part of yourself is lost forever when you lose a parent. My deepest condolences are conveyed here. I know you will miss her every day, but hope is such a comforting word. You will be together again. Draw comfort from that hope. I can relate to your loss. My Mom passed away on Sept 2014, and I miss her every day. I try to think about all the good times I had with her, that seems to help. Your post about your mom was deeply touching. Even though my experience was a few years ago it still feels like it was just yesterday. I am positive your mom could hear you. The good thing is that you can talk to her any time you want and she will hear you. Some days you will even feel her presence with you. I am so sorry for your loss. I will pray for you and for your dad that God will give you both the strength to be there for one another. Ann,I’m so sorry for your loss it’s never easy to lose a parent no matter what age we are. She will always be with you.Prayers for you & your family. Sending prayers and wishes for peace and strength for you and your family in the days ahead. I am so, so sorry. May God bless you, be with you, keep you, and grant you His peace. Ann, I am so sorry for your loss. There are no words to say other than that. You and your family, especially your father are in my prayers. You are already in my praying as I write and prayers as God puts you on my heart. A new normal. I’m sad for you…tears…the age of my mother in law. The Llord bless you and keep you especially in these days to come. Bless you as you go through one of the saddest sad times of your life. Take care of yourself and yours. I can feel your pain. I love your post. I get it every week and I look forward to it. My natural blood line is Boney?Bony(?). I wonder if your husband is related! Please contact me on my personal email. Sorry for your loss. May God wrap you in His loving embrace and give you peace. So sorry for your loss. Will miss your inspirational post but will be waiting for your return. I’m sorry for your loss. It’s nice to see all the kind postings here. Lots of love and grace from all over. Oh Ann I’m so sorry for your loss. I know you will truly miss your mom . She is in a better place now with no pain or suffering .You now have a guardian angel to watch over you and your family. You’re in my thoughts and prayers. I’m so sorry for your family’s loss! Your mom was a beautiful lady. I’ll be thinking of your family as you go thru this sad time. My heart is so very sad for you! Having lost my dad less than a year ago my heart knows a little of what your loss is like. My lovely memories have carried me, and I hope yours will carry you as well. Bless you and your Dad. I am so sorry. It is very difficult. My heart aches for you. My Mom passed away 3 years ago. My Dad has managed pretty good but he had a struggle the first six months. You will all be in my prayers. I have you and your family in my prayers. I have lost both parents and it was my honor to be with them until the end. For myself and my selfish reasons, I would still want them here, but I know they are pain free and together in Heaven! Although we don’t know each other, sending you lots of love and prayers!!!!! Hold all the conversation, times, memories close to you!!! Blessing for you and for your family, Ann. I know how you feel. Keep those positive thoughts. Your mom would like that. Bless you for what you did for your mother. She heard every word, which allowed her to pass peacefully. You made sure her wishes were met, and everyone should have that opportunity. Thank you for being such a good daughter. Ann, I’m so sorry for your loss. Your mother was beautiful! It is so very hard to say good-bye to our mothers; she will always be in your heart. You are in my thoughts and prayers. Praise God for “Precious Memories”. Memories keep loved ones with us after they’ve gone on to be with the Lord. so if that is true and I believe it is……….then she did hear you. Will be praying for you and your Dad and family as I know this will be a bitter/sweet time. Ann, sorry to hear about your Mum. Was glad to hear your Dad and you were with her. Thought this little verse was lovely and hopefully helps you in the months ahead. When someone you love dies,You never quite get over it. You just slowly learn how to go on without them. But always keeping them tucked safely in your heart. Ann, sorry to hear about you Mum. Was glad to hear you Dad and you were with her. Thought this little verse was lovely and hopefully helps you in the months ahead. Dear Ann, I lost my own Mom two and a half years ago. I understand your sense of loss and I can only say that it WILL get better. You will be in my thoughts and prayers. Sending hugs and love. So sorry for you loss. It is difficult to imagine life without those we love, but it is God’s plan. Ihave been with many family members on their death bed, & I want to assure you t hat they do hear & know what you are conveying to them. Prayers are with you & your family at this time. Dear Ann – I send love & prayers for you, your dad & loved ones & your lovely mother. I’m sure that she was comforted by your presence & DID hear you even though she couldn’t give you a sign of acknowledgment. What a blessing to have a “quiet & pain free” passing with loved ones present at her side. I know that no words can really comfort you, but I pray that you will find comfort in your “new normal” very soon. Do not be afraid of your present “roller coaster” – it will become less “roller” & more “coaster” as you shift from feeling the very raw loss of her physical presence to treasuring her “constant presence” in your memories of her with a smile. Your positive inspiring artwork has meant so much to me and to my family every day! 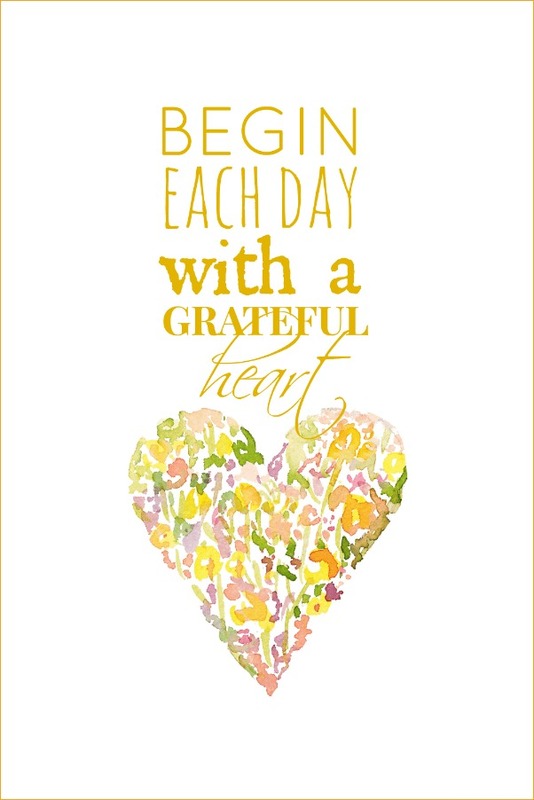 I pray that you are inspired to follow your own very positive force that inspires so many to be positive, be a force for good, and be grateful for each day & each small blessing. Praying for you and your family!!!! May blessings and peace surround you and your Dad at this difficult time. Ann, may you be comforted but the joyful memories that your mom left in your heart. I will pray peace and comfort for you, your Dad and all who loved her. My dad passed away suddenly this past October and although my heart was broken, I am always reminded of just how much he loved and adored me. May you find the same. Sincerest sympathy, Ann, on the loss of one so dear. May you find peace in your heart and hold on to the precious memories she has given you. I’m so sorry for your loss. It hurts so much when you have to give up one of the most important people in your life. She must have been a wonderful mom to raise such a lovely daughter. My prayers are with you & your dad. My condolences to you, your father, family and friends for your the loss of your beautiful mother. By the way, you like her. Take time for yourself because loosing a parent is like loosing an anchor, a confident and a good mentor. She will keep looking after you, always. Love your blog and the ideas that you propose to us. My prayers for you and your family, especially your father. May you be comforted by the memories of good times with your Mom. I am so sorry. I miss my Mother everyday. You are in my prayers and my heart. I’m so sorry to hear of your Mom’s passing. My thoughts and prayers are with you and your Father. you the strength to endure. Your blog lifts my spirits and brightens my day. I am so sorry for your loss. I have heard that hearing is the last thing to go so I am trusting that she heard you. I’m so sorry you lost your mother. You and your family are in my prayers. I know the pain runs very deep now. I have gone through the loss of both my parents and understand your loss. You and you Dad are in my prayers. Thoughts and prayers to you and your dad. A mother’s love can never be replaced…just remembered. So very sorry for your loss. Peace to you and your father. Memories will make you smile again. Ann I’m so very sorry to hear of the loss of your mother. Unfortunately, I know the up and down of emotions as I lost my dear mother last July. I pray peace, love and courage for you and your father as you continue down the path without your mother….she was beautiful. Heartfelt prayers and thoughts to you. I know what you are going through. Be strong and remember the good times you shared with your mom. Ann, I am so very sorry for the loss of your mother. It is one of the hardest things to go through. My thoughts and prayers are with you and your dad. I am so sorry for your loss and feel your pain. I will pray for you and your father as you go through the struggles of the next stage in your lives. You never get over it, but with God’s Grace you will learn to live in a different way. I’m so sorry for the loss of your mother. Your dad is lucky that he has you close. Remember the happiness. Take care. Thank you for sharing your heart and journey. You, your family and your father are in my prayers. Praying you will sense the love and presence of God during this difficult time. So sorry to hear of your loss. It does get easier, but you will have your days of thoughts you’d rather not think about, but that will pass. Try to remember the pluses and you’ll be okay. I fully understand your sadness at this time in your life. Great big hugs to you and your family. Wishing peace and fond memories to you and your father. Thinking of you. You will always have a hole in your heart. But life goes on. It’s just a little harder. Ann, I am so very sorry for your loss. I lost my father last May and I understand your feelings of happiness and sadness. My heart and prayers are with you. For all that you give your readers, I hope you can hears my prayers for you and your family. So sorry to hear about your mom. This part of life is so hard. My parents are in a nursing home and I know they can’t last much longer. But let’s dwell on all our wonderful memories. You are wise to take time for you and your dad. We will be here when you come back. Anne, i am so sorry, its so hard but the days will get better. The happy times will out weigh the bad memories. My prayers are with you and your family…. Oh Ann, I am so sorry to hear about your Mother. I wish you much peace in knowing that your Mother is with the good Lord & there’s is no better place for her to be. Tears are OK, so let them flow for cleansing & healing. You & your Dad & of course, your Mom are in my prayers. May you be filled with God’s love & blessings. God bless you and your family, Ann. I will pray for you this week and at Mass on Sunday.Your mom must have been a special person to have had a daughter as wonderful and loving as you are. A part of her will live on in you. God bless you and your family, Ann. I will remember you in my prayers this week and in Mass on Sunday. She must have been a lovely lady to have had a daughter as wonderful and loving as you are. A part of her lives on in you. Your Mom was a beautiful lady, just like her daughter. You have my deepest sympathy. So sorry for your loss, my thoughts and prayers go out to you and your family. May God watch over you and your family at this time, and may he grant you his strength and courage. My condolences for the loss of your Mother. Our thoughts and prayers are with you and your family. Your Mom heard you and your dad, I believe this with all my heart. We talked to my dad in the same circumstance until he was gone. I faithfully believe he knew we were there and felt our love. After 6 years, a thought, memory, smell, or a sunflower (his favorite) will have me burst into tears but then I remember all the good times and what a wonderful father he was. I miss him every day. Your family will be in my prayers as you take this difficult journey. Dear Ann, I’m so very sorry for the pain that you are experiencing. We never outgrow the need of our mother’s love, do we? I pray that you will receive solace & peace from Jesus who told us that “those who mourn shall be comforted”. I pray that celebrating the joys & memories of your mom’s life will be a true blessing to your entire family. Oh, Ann my sincere condolences. It’s so hard to lose your mother, especially when you have a good, close relationship. My prayers for your family and your dad. Yes you will come back full of new ideas, and memories may be a big focus for a while. I know it was for me when I lost my mom two years ago. I did gallery walls of my parents and siblings and nieces and nephews. Family and memories. Always important, just much more so now. Be gentle with yourself. So sorry to hear about your loss. What a beautiful photo. You need to look after yourself & take time out to grieve. Take care. So sorry for your loss. May the peace of the Lord be with you and yours in your time of need. May her memories give you comfort and joy. Ann, so sorry for your loss. Losing one of our parents and loved ones is always a struggle. Prayers for everyone! Prayers are with you Ann I lost my mother when I was 16. I just turned 50 and it still makes me sad. What gives me comfort is knowing where she is and she is no longer in pain. Your Dad might surprise you with his strength. Just know that we will all be here when you return. Take your time to go through all the emotions. Hugs to your family. I am so sorry to hear of the loss of your mother. You are going through one of the hardest times of your life but I think your ability to be thankful for the good times will give you the strength you need. I lost my mother in January a little over 25 years ago. The overwhelming sadness is gone but I will always miss her. Now my children and I can laugh about some of the fun things we all did together. It may take awhile but I’m sure you will get there too. May you and yours feel the presence of His Peace and comfort. I am so terribly sorry for your loss. Ann, my heart goes out to you and your family. May you find comfort through this difficult time. Ann, I am so sorry for your loss. I’m praying for Gods grace and peace for you and your family. I am sorry for your loss. Your Mother will be in all the little things you do for the rest of your life. Your sadness will turn to sweet memories & smiles, believe me, I know. So many of us do understand what you are going through. My Mother died in 2004 and I still miss her every day. There are certain things I randomly do that make me feel very close to her – silly things really (peal peaches, eat a Little Debbie oatmeal cream cookie, watch something on PBS that I know she would like). You & your Dad will help each other in the days to come. When you happen to notice a picture of your Mom, hear a song she liked, or smell her perfume, you’ll most likely cry; but the day will come when those things will make you smile as you remember the good times. Draw strength from family and friends; let them do things for you when they offer. You will be giving them the gift of service. Even tho we have never met, I will be here, in NC, supporting you. I am so very sorry for your loss! Praying for you and your Dad. May God be with you and your family during your sorrow! I am so sorry to hear of your mother’s passing. It is a difficult thing to lose your Mum, feeling a little like a ship without an anchor. I am praying for comfort and blessings for you and your father as you go about your coming days. May God’s strength and peace be with you, Ann. Prayers for you and your family and I hope you will feel comforted. I am sorry for your loss. So sorry for your loss. Your mother did hear you and your dad. I am sorry for your loss. Your mom will be in your heart with you always. Prayers to you and your family. My prayers are with you. I know what it is like to loose a parent and it is hard…and always will be. Take time for yourself to think of all of your fond memories. They will last a lifetime. My heart goes out to you and your family. I lost my Mom in 2010 and my Dad only last November. Thoughts of them still come to mind every day because the people who influence our lives so strongly never really leave us. They live on in our hearts and in our memories of wonderful times with them. Take time to heal. My heart is breaking for you. I have this ahead of me, but not too far ahead. Take your time, we will all be here when you return. Prayers and thoughts going out to you and your family at this difficult time in your lives. Cherish those precious moments and she will be with you always. My deepest sympathies Ann. I will keep all of you in my prayers. My Mom is 82 and frail and I honestly can’t imagine her not being in my life. Your Mom was a very lovely lady. You are in my thoughts and prayers at this most difficult time in your life. It’s hard for those of us left behind on this earthly plane until we rejoin our families in the Hereafter. Know that she is at peace, she is well and truly loved by you, her family, and her Heavenly Father. I have no words that will truly provide you with comfort. For that I am sorry. It does appear that you have been well and truly blessed to have had your mother in your life. She will always be a part of you, because she and your father made you out of love for one another. I’m so sorry to hear this. No matter how you prepare for it, it is still so hard. I lost my mom a few years ago, and there’s still hardly a day or a week that goes by that I don’t think of her. But now it’s with a big smile instead of tears. I wish smiles and good memories for you, your Dad and family, after the tears. Of course she heard you. Love isn’t heard only by ears, but felt in gentle touches, calming presence of familiar company and the secure trust that you are there to comfort..
Praying for peaceful hearts for you, your Dad and family and for the creativity that fuels your passion to come back full force after you take some time to mourn your loss and find your “new normal”…much love and prayers coming your way! I am so sorry for the loss of your mom. I lost my mom 10 years ago. My prayers go out for you and your dad. I am your Mother’s age, Ann, but I still remember how hard it is to lose your Mother. Mine passed in 1985 and there’s hardly a day that I don’t think of her still. But you and your Dad will find a new ‘normal’, I promise. My sympathy to you both . . .
Ann, I am so sorry for your loss, my prayers are with you and your family. I am so sorry for your loss. I am also going through end of life with my mother. I am wishing you more happy than sad days in the future. I am so sorry for your loss and you, your father and your family will be in my prayers. The picture of your Mother is beautiful and thank you for sharing your tribute. I also want to let you know how much I enjoy your website, it makes me feel I am visiting “home” when I stop by for a inspiration and escape. I’m so sorry about the loss of your Mom. Your Dad will need you now. I hope the two of you can provide comfort for each other in the coming days. I am so sorry to hear of your dear Mom’s passing! I so enjoy your posts and wish you well as you pursue your “new normal”. May your strength come from God! Ann…I am so sorry for your loss. The passing of our mother is one of life’s most difficult and sad events. It’s times like these when we miss the comfort of our mothers the most. I know she is in very wonderful place and you will see her again. Please be patient with yourself….it’s a long process. You and your dad are in my thoughts and prayers. May God Bless You with peace as you walk this new journey. Ann – what a beautiful gift you and your dad gave your mom. So many people don’t get that time. As a retired oncology nurse, I’ve had the honor of being with families as their loved ones pass. It was always a solemn joy to see families just being with that person as they made their exit from this world. Such a sacred time. Be blessed. Prayers for you and your dad over the next days and months as you both adjust. Life is precious and can be fragile. So sorry for your loss but am glad you were so close to your parents. They could feel your love and know they brought a loving wonderful daughter into the world. Prayers for the coming days and years that the memory of all your time with her will make your heart sing with joy! Anne, thank you for sharing the news of your mom’s passing with us. I so love that you share your highs and lows with your readers as that is life and we all have good times and not so good times.. I wish you and your family peace and love, and I know when you share your next post, you will be full of wonderful new ideas and positive energy. Please know that I’m thinking of you and praying for you and your family as you face the coming days without your beautiful mom. The sweet memories will be your strength. I’m hopeful that you will include special memories and details about your mom in future posts. What a privilege to provide your mother’s care. May you find moments of joy in the days of sorrow. My heart goes out to you at this sad time Ann. Your Mom was a beautiful woman, inside and out. God Bless. So sorry to hear about your mom. May you find strength knowing that she is in a better place. I wish to express my deepest sympathy to you and your dad. You did all you could to bring her comfort and love and I am certain she heard every word you said. You are in my thoughts and prayers. Take care. So sorry to hear of your Mother’s passing. My thoughts and prayers go out to you and your Dad. Sending Love and Prayers to you and your family. Praying God’s loving arms will comfort you all in the days to come. Your faith in God will be a companionship and will help heal the pain and loss of your mom. I lost my mom a few year ago and it took me awhile to go beyond the pain of loss and to relish all the good memories we had together. But remember all the good times and treasure them each day. God Bless you and yours now and in the years to come. Blessings to you and your family in this time of grief. So sorry for your loss, may you and your Dad find comfort and peace. I’m so sorry for your loss. God bless you and your family. He will give you peace. I’m so sorry to hear about your mom. I lost my mother this past year. I have so many wonderful memories of her and she inspires me to be the kind of loving person that she was. So very sorry in the passing of your mom . I truly enjoy reading your blog and I’m sure your mom has been an inspiration in a lot if your writings ! I know cause a lot of things that I enjoy doing come from my mom too. My mom passed away in 1996 and though our relationship was sort of up and down I am the person I am today a lot due to her influence and I’m actually proud of that ! Even though it’s been almost twenty years I still miss her ! The tears of the permanency of it has subsided but I still catch myself thinking I have to call her to tell her something ! Be strong and you’re right be grateful ! Sincerely a loyal reader ???? Ann, I am so sorry for the loss of your mother. I pray for peace and comfort for you and your family in the days ahead. My heart goes out to you and your Dad. I lost my precious Mom 4 years ago, and while it does get easier and you adjust, you will always miss her deeply. My prayers go with you. Take care. So sorry for your loss. May God bless you during this time with beautiful memories. I never post just enjoy what you so willingly share but need to let you know you have my sympathy. I’m so sorry for your loss, Ann. My prayers are with you and your family. I’m so sorry for your family’s loss. Love and prayers for you and your family. Praying for God’s loving arms to comfort you in the days ahead. God’s constant companionship will help to heal your loss, just remember your mother lives within your heart, she will always be there, think of the good times and treasure them in the days ahead. May God’s peace feel you in this time of need. Your post touched my heart. I lost Mom twelve years ago and I still think of her every day. Be comforted by the knowledge that even though you can’t be sure that she heard you and your Dad , she did hear you on some level and that she will be with you always. Ann, I am so sorry for the lost of your dear mother. My prayers and thoughts are with you and your family. Hugs!!! Hugs to you and your family. I lost my mom last April. I often look up to the sky and talk to her. I believe your mom will be watching over you, too. My prayer for you is that you would know the peace of Christ which surpasses all human understanding. I am so sorry for your loss. She was quite the beautiful woman. Thoughts and prayers for you and your family at this time. Prayers for you, your dad, and your family to comfort each of you during this difficult time and the days ahead. Ann, I am so sorry to hear about your mother. Having lost my mom three and a half years ago, I understand the emptiness you must be feeling. There isn’t a day that goes by that I don’t miss her; however, I do feel her presence with me. I pray that you will find comfort and strength from your family and friends and joy in the memories you have. Blessings. My dear sweet Ann, I am so very sorry for the loss of your precious Mother. I will pray for you and your Dad that our mighty God will give you strength, peace and comfort during this time. Sending love and prayers to you, your family, and to your Dad. My warmest condolences to you and your family. I, too, have lost my Mom. I know the closeness love between a mother and daughter. I am so sorry for your loss, Ann. There is something so heart-wrenching about losing someone as precious as a parent — we sort of expect (or maybe wish) that they will always be there for us. Know that your blog friends are holding you close to our hearts and lifting you and your Dad up in prayers for comfort and peace as your walk this difficult grief path. Take all the time you need to heal and restore your spirit, and know your faithful followers will be here when you’re ready. Blessings & peace to you, your Dad, and those who so loved your Mom. So sorry for your loss Ann, moms are very special people and we are a reflection of their love for us. I lost my mom when I was 32. I am 68 now and still wish I could ask her for just the way she made her apple dumplings or what did she use to get a stain out and a million other things. We are okay and work through our grief but we are never the same. Losing a parent is so very, very hard and I send you my sincerest sympathies. Mine are both gone now, with Mom passing a couple years ago. You are so right, it doesn’t get “better”, but it becomes a “new normal” — one that I promise you, you can live with and enjoy. She will live through you and your memories of her. I hope that once in a while, you can share a story of her with us — maybe something she did to inspire the wonderful creativity you share with us. So sorry for you and your family. You remain in my thoughts and prayers as you mourn your loss. This beautiful woman inside and outside will always be in your hearts. Dear Ann, my heart goes out to you. Your mom was such a beautiful woman. I’m sure she heard you and were comforted you were there. Mother loss is by far the most difficult. My dear Mother passed 7 years today. There isn’t one minute of one day I don’t miss her. With sympathy. So Sorry for your loss. Prayers and blessings sent your way for you and your family. I’m so sorry for your loss. Am praying for you. Thank you for sharing your heart with us. Please take all the time you need. God gave me just the good times for memories when my Mom went to be with the Lord. That’s God…. Praying for you and your Daddy for your comfort and peace. So sorry to hear about your mom. Praying for you and your family. What a beautiful lady. I appreciate your posting the lovely photo of your mom. A very thoughtful and sweet tribute to your mother, Ann. I am so sorry for your loss, and I will be praying that the Holy Spirit will comfort you and your family. I am so sorry for your loss. May you find peace and comfort with all the memories you have of your mother. Sending prayers to you and all of your family. My prayers are with you, Ann. Your mother was so beautiful, and I see her in you. Ann, I am so sorry to hear of your Mom’s passing. May you find comfort in your memories of your her. Blessings. Ann, I am so sorry for your loss. Our family is going through this as our Mom passed October 3rd. There are sad times when you realize she won’t be making her daily call to you. There are sad times when you want to call and ask about a recipe, etc. Then there are the happy thoughts about something from the past. It is a hard time but we are so blessed to have had such love in our lives. Many have never experienced what we have. We are blessed. Prayers for your family. God bless you in these days. I, too, lost my mom a year ago. I was fortunate to make it to California where she past away less than a week later. May you have many happy memories that will bring a smile to your face and keep away the tears. It is tough,I know, I can think of things to write to her (she was deaf) about, things that she would like, etc. No matter where you turn, things just remind you of her. I pray for your dad, that he too will find peace in their happy memories of being together. I’m so terribly sorry for your loss. I’ve said a prayer for comfort and peace. Take all the time you need, we will still be here. I am so sorry to hear about your Mom. Take time to process everything. Prayers and blessing to you and your family. Anne, My heart breaks for you in your loss. There is a void in our hearts that can never heal when we lose that precious mother that God blessed us with. I too took care of my mom during her illness, I am forever thankful for my mom, miss her terribly, but, always have such tremendous loving funny crazy memories with the one person who made me into the lady I am today. May God be with you and your dad. I am so sorry for your loss. I hope that the many happy memories you have of your mother will lessen your grief in the coming days and months. I wish you peace. Thank you for sharing something so personal. It must have been very difficult. My thoughts and prayers are with you now. Take good care of yourself! I am so sorry for your loss. Please give yourself time to heal. Mom will always be with in your thoughts and such wonderful memories in your heart. So sorry for your loss. Remember all the good times & share them with your dad & friends. This is what helped me the most when I lost my mother. Take care. Hi, Ann. I am new to the sublimation world and have just found your beautiful art. I am so sorry to hear of the passing of your Mom. I, too, have taken care of my precious Mom in her last days and experienced the pain..and yet the relief that she is no longer suffering. I just sent prayers up from Olive Branch, Mississippi for you and your Dad. May each of you feel the comforting arms of Jesus Christ at this time. I AM SORRY FOR YOUR LOSS. WE NEVER GET USED TO LOSING LOVED ONES BUT WE GET [THROUGH] IT.. SPEAK HER NAME OFTEN & REMEMBER THE HAPPY TIMES YOUR FAMILY SHARED TOGETHER. A MOTHER’S LOVE IS UNENDING. Ann, As I read through some of the many, many posts sent to you this morning, my prayer is that you will find comfort from knowing how many hearts you have touched through your blog and how many prayers are being lifted up for you and your family. Please take all the time you need to grieve – you will know when it is time to come back. Your followers all love and care about you and we will be here when you return. God’s blessings. I am truly sorry for you but,now she is with the Lord and pain free, i told myself these words lots of times after my mom died and it is what would get me through those times,that i missed her so terribly. Praying for you and your father. So very sorry for your loss. May you and your family feel the love of the Lord surrounding you during this time. My heart breaks for you. I am so sorry to learn of your mother’s passing. I know your heart is heavy and your concern for your dad is very real but I pray that God will put His comforting arms around you and ease your paid, ease your sorrow and flood your mine and heart with happy memories of your time together. I am so sorry for your loss. My prayer is that you will be comforted and find peace in the days ahead. I’m so sorry for your loss. Trust in God to get you and your Dad thru this painful time. Your Mom may not be here physically but her love is still with you. It’s a part of you. May you and your family find comfort in each other. I am very sorry to hear about your moms passing. Sending you big hugs & prayers. My very deepest condolences. I hope both you and your father can find peace in knowing you helped your mother exit this world in surrounded by those she cared for most and in a place of comfort and familiarity. As difficult as this present time is, know that you gave her one last beautiful gift. My prayers for you. My heart aches for you. Yes, your mother heard you and your father, and I am confident she knows how much she was loved by you both. Take all the time you need. We will all be praying for you and your family, and will be right here whenever you feel comfortable returning. Much love! I am so sorry to hear about your mom. Time such as this are always difficult. I will keep you and your family in my thoughts and prayers. May the stars be warm, the fruit be plentiful and her beauty remain with you always. THOSE OF US WHOSE MOM’ S HAVE PASSED KNOW YOUR SORROW. OUR REWARD FOR BELIEVING IS THAT WE WILL BE JOINED AGAIN IN THE AFTERLIFE. AS MY OWN MOTHER PASSED, SHE CALLED OUT TO HER MOM AND DAD. I BELIEVE THEY WERE JOINED AT THAT MOMENT AND SHE WAS HAPPY. WE HAVE BEEN PROMISED EVERLASTING LIFE AND GOD DOESN’T BREAK PROMISES. PEACE AND COMFORT. Ann, please be assured that you and your family are in my thoughts and prayers! Trust God to carry you through this difficult time in your life. By the way, I’ve heard that people can hear sometimes even in a coma, so I feel certain your Mom heard your loving words. Don’t feel guilty about taking some time off to “cocoon” with your family as you grieve together. You need rest and time to heal. I am so very sorry for your loss. May you find comfort in your fond memories, love of family and friends. I truly believe that though your mom could not speak, she heard every word spoken. Prayers of comfort to you and your dad. I am so sorry for your loss. I do believe your mom could hear you and your dad. When my father was passing away, our pastor told us to say everything we wanted to say. He told us that when someone passes away, their hearing is the last of the senses to fade. I wish you and your family peace. How beautiful she was. I am sorry, Ann, but concentrate on the good years. You had her far longer than I had anyone in my family. You will always miss her, but it will be better. Thoughts and prayers are with you and your Dad. It will be hard for him. So sorry to hear this heart breaking news. You are in my thoughts and prayers, as is your dad. Good morning, Ann. Opened my inbox and received the sad news on the loss of your mother. She was so beautiful and you look just like her :) You are consistently a bright light in the blog world and I’m sure you were in your mother’s life as well. Please take care and know that many positive and supportive thoughts are being sent your family’s way. I’m sorry for your loss. I am going through the same, my 93 year old Mom passed away Friday and the funeral is Wednesday. My 95 year old Dad and I stayed with her in hospital, peaceful and quick. I will pray that you have the strength needed for the next days. Thoughts and prayers, love and light, are with you and your family. So sorry for your loss. My mom passed 7 months ago. Waves of emotions still come. Take as much time as you need. We will still be here. Sincere condolences regarding the loss of your mother to you and your father. Wishing you peace and comfort with the help of your faith and the knowledge that you did all that you could. I am so sorry…I know only to well how you are feeling. My thoughts and prayers are with you during this season of your life. These times are so very hard and the waves come and go. Praying for your family to have peace and strength in the days ahead. God bless you all. I am very sorry for your loss, Ann. Having lost my own mother in the same way almost three years ago, I can understand what you have been through. My mom received hospice care in my home the last months of her life. I miss her every day, but feel she is with me as I have so many reminders of her from the things she sewed and crocheted for me, her personal belongings, and gifts she gave me through the years. But most of all I have my memories of her. I hope you find peace in the memories of your mom too. Take the time you need,, I look forward to your inspiration in the coming days (or weeks). Ann, so terribly sorry for your loss. I know your heart aches. Prayers for you in the days ahead. I am so sorry for your loss. There is no earthly love like a mother’s love . . . but God can heal your heart and give you peace. He loves you even more than she did. Prayers for you and your family. My thoughts and prayers are with you and your father. I lost my dad March 2, 2015. It is such an overwhelming sadness. We all grieve differently so be kind to yourself and allow yourself to work through those emotions. I am so sorry for your loss. It is really hard to lose our mothers. Take all the time that you need to mourn this loss. It takes however long it takes. Eventually you’ll be able to remember her with a smile and without the pain. I love the picture of your Mom. She was really beautiful and you look so much like her. Sending you virtual hugs and wishing you comfort in the days to come. So, so very sorry to hear of your Mom’s passing. Please don’t worry about your blog – just take time to grieve and reflect on what a blessing she was and will continue to be in your life. I am so sorry for your loss! I understand I loss my mom 3 weeks ago. I hope that you can find comfort in your memories of the good times you shared. I will keep you in my prayers. My deepest condolences to you Ann. When I lost my mother I felt like all our shared memories were vanquished in a nano second because I no longer had her to revisit those experiences with… Losing our mom can leave a big hole in our heart. Embrace your father for however long you have left and know you are loved by many. And be assured, she heard you words and felt your love to the very end. There are no words at this time. My mom has been gone for years and I still feel the loss. You, your dad and your family are in my prayers. God Bless you and yours at this time. I am so very sorry for your loss, Ann. I recently lost my Dad and those feelings of sadness are so great. I do know that with time the pain eases and is replaced with the wonderful memories we hold close to our heart. The tears will come and go throughout your life, and that’s as it should be. May the Lord bless you in the coming days, that you and your family can feel His great love and the peace and comfort only He can give. Dear Ann, So sorry to hear about your Mom. My thoughts and prayers are with you and your family during this difficult time of mourning. Wishing you strength, peace and happy memories for the coming days and weeks. May you feel God’s comfort each day. I’m so sorried for your loss. All those memories through the years will keep your mom alive in your heart & soul. Losing a parent at times is bitter sweet for some of us.You want them to live but the their quality of life is gone. Take all the time you need we will be here when you are ready to return.???? I am so very sorry for your loss. My deepest sympathies are with you and your family. May the good Lord wrap his loving arms around you and may you rest in his gentle love. When you are ready to come back we’ll be here for you. My sincere condolences for your loss. So very sorry about your beautiful mother’s passing. Oh Ann – my deepest sympathies and prayers to you and all your family. Your Mom was a beautiful woman and I’m sure you have countless beautiful memories to comfort you during this difficult time. I remember when my Mom passed 2 1/2 years ago I felt like an orphan even though I’m in my 50’s. You will get to your new normal with your positive thoughts and actions and no worries…..your Mom absolutely did hear you and your Dad when you talked to her…..her soul knew and that is the mystery of life which reminds us we are not just our physical bodies. I am so sorry for your loss. Losing a parent is so difficult. Prayers for you and your family. You, your father, and entire family are in my thoughts and prayers. Praying you find peace and calm and that your sweet memories will help sustain you through the coming days and weeks. I will patiently wait for your return, take all the time you need, Ann. Praying God’s peace that passes all understanding for you and you Dad. Such a bitter- sweet time. God bless you and comfort you. I am so very sorry for your loss. My own mother left us in ’99 and while we had time to prepare, and were with her for a very peaceful end, the loss is still profound. May your heart be comforted by beautiful memories, and may peace find its way back to you in the coming days and weeks. My sincerest sympathy to you and your family. I pray that God will give you peace, healing, and deep joy. Ann, I am truly sorry for your loss. It is never easy to lose one’s parent, and your path has been made even more difficult because you have to be so strong for your Father. My prayers for you and your Dad will be for strength and courage as you go through the days ahead. I am so sorry for your loss. i remember when my mother passed away. I will surely be praying for you and your father and all who loved your mother. It will take time to work through the sadness but with the Lord’s help you will come through. Ann, thank you for sharing with us. Praying God’s grace will abound to your family as you move forward each day. I pray for peace and comfort for you, your Dad, and your family. Memories of our loved ones are a great gift at times like this. May you find joy in hearing those stories as you go through this tough week and beyond. Ann, I have never posted on your blog before but have been following your blog for a while. I am so very sorry to hear about your mom. I wrap you, your dad and your family in prayers that God will comfort you and lead you to that new normal. My mother just turned 101 and while I can’t imagine her gone; she can’t see, can’t hear, can’t stand or walk and fortunately has dementia, so has little quality of life. I say fortunately has dementia because she is blissfully unaware that my sister is dying of stage IV ovarian cancer and to know that would break her heart. She has lived without my dad, who died at our family’s Christmas dinner table 27 years ago. I don’t believe God gives us more than we can handle, but He does test us. Oh, I am so sorry, there are just no words. Please take all the time you need to refresh and know that we will all be here when you return. Wishing you, your father and family peace and hope at this extremely difficult and painful time. I don’t know what it’s like to lose someone close to me. I can’t imagine the pain or sorrow or what it’s like to think about tomorrow. I do know that it takes time to heal…a lot of time. You might hear a song that reminds you of her, or the scent of her favorite perfume will find it’s way to you, you might even see someone at a distant that looks like her only to find it’s someone else. You will cry and cry often but when your eyes can’t cry another tear, when your heart has mended and when you can think of your mom without sorrow….then you’re ready for tomorrow. Take your time and let yourself heal and we’ll see you when you are ready. Ann, God is closest to us when we grieve. Please take the time to grieve and let go. The grieving period for Moses was one month. So God feels it is important to go through that process of healing and letting go. Jesus will be with you. Give all your concerns for your Dad to him and He will look after your father and you as well. Take the time to refresh and renew. My prayers are with you, your Dad and your family. Your Mom is always with you in your heart. May God give you a fresh knowledge of Him and see His hand working on your behalf. So sorry, Ann, for your loss. I lost my mother, who was also born in 1933, to cancer 3 years ago. I still at times, for a split second, think ” I have to call mom and tell her such n such” and then in another second quickly remember she’s not here. Now I think of all her beautiful wonderful things that made her my mom and smile, but there are also moments where i cry because I just miss her. I’ll pray for you and your Dad, For comfort and peace. I am so sorry for your loss. I will keep you, your dad, and your family in my heart and prayers. Ann- So very sorry for the loss of your Mother. Prayers for you, your Dad, and your entire family. So sorry for your loss. My sister an I have been going through a lot in the past month with my 93 year old mother. She had been living on her own in her condo, but declined so much in a matter of weeks that she is now in a wheelchair, unable to even get dressed by herself. Such a stressful time. I have so much empathy for you and others going through these things with elderly loved ones. Prayers for you and your family. Dear Ann, I am so sorry to hear about your Mom. I know that you and your dad have wonderful memories to help you through your time of sorrow. Sending gentle hugs. Ann, what a beautiful lady your Mom was. My deepest sympathy to you and your Dad. May all your sweet memories help you and make you smile during this difficult time…and forever. So very sorry for your loss. It feels as if the world has cracked open- a new “real” is exactly the right way to describe this time. Sending prayers to you and your family. Losing my mom was the hardest thing I’ve gone through. I lost my dad at 18 and thought I would be prepared for my moms passing. I wasn’t. Even at 48, I felt like an orphaned child. It took about 5 years before the pain subsided. I think about her everyday and still miss her. I feel for you, I know how sad it is and the pain you’re feeling. My deepest sympathy to you and your family. I lost my dad 1-1/2 years ago and my heart goes out to you. There will be days that you can’t seem to do anything, find moments that tears leak from your eyes, other moments where you smile and chuckle to yourself. Give yourself permission to take time for all of these emotions and while you won’t “get over it,” you will adjust and have more of the fond memory moments than the others. God bless you and your family. I am so sorry to hear of your loss. Moms are so precious and such a grand part of our life and who we are. My prayers are with you and your father and hope you both find comfort in knowing that your new guardian angel is watching over you! There really aren’t any words, Ann, beyond ‘I am so very sorry for your loss’. You and your father will support one another through the next few days and on through all the ‘firsts’ without your mother. I’m sending you the warmest thoughts and a heartfelt prayer. Your mother was beautiful! I am SO sorry for your loss. Prayers for you and your family. My heart and prayers are with you as you grieve for your mom. The love of our moms is so very special. You will grieve and the tears will flow, but a memory will pop up and you will smile. God Bless you and your family. thinking of you and your family and praying our most gracious God will give you and your Dad the peace and comfort only He can give. The body is no longer here but our memories we will have forever. My prayers and concern are with you. My sincere condolences. You and yours are in my heart and thoughts. Although my mom is still with us, my dad passed away 17 years ago. As hard as that was, I’m sure it will be more so when the time comes for my 91 year old mother. Every girl needs her mom, no matter how old she is. Her influence and love for you will always be there. She must have been remarkable to have raised a daughter like you. Prayers for you and your family in the coming days and years. My sympathy to you and your dad during this most difficult time. I have lost both parents, all 8 of my siblings, and my wonderful husband. Take care of yourself during this time, and, remember, there is no time limit on grief. Even when you think the grief is gone, it will come back to visit when you least expect it. Blessings and love. My sincere condolence to you and your Dad/family. So sorry for your loss. Relish in the wonderful memories you have of her! So sorry for your tremendous loss. I think mothers are one of the hardest losses you have in life. It is funny that you said you’ll be ok because that is what my mother told me when she was dying and i was sobbing on her shoulder. She was dying but still comforting me, telling me I’d be ok and I am. You will be too, because that is what she taught you. Just take each day at a time and you’ll get through this. There are no words to express my sorrow for your loss. My thoughts and prayers are with you and your family. I lost my mom in January 2012. It was a difficult time; but I spent lots of time on my porch swing. A little less doing and a lot more quiet. That is what I needed. Over time, it become less difficult because of the gratitude I had for having her as my mom. I tried to turn my sadness into gratitude and it helped me. Don’t rush, you’ll know exactly when it’s time to get busy again. Today I’m saying a prayer for you and your dad. May God bless you both with the peace that passes understanding. So very sad for you, Ann, and your dad, too. Your faith, family and friends will sustain you during this time. The good news is that you know these things. Blessings to you and your family. These are the times in our lives that make us look inside ourselves and choose what we need to focus on for the rest of our lives. Thank God for your precious mother and the life she lived and the love she spread. You will have happy and sad times, that is normal. Feel those times. Hope for brighter days. They will come and so will your creative spirit. Take time. My prayers are with you and your family. Keep your Mom’s spirit alive by recounting all she brought to your lives???? It’s a very sad time for you and your family, but you will also smile as you all reminisce of all the wonderful things your mom did. You’ll remember the good times more so than the bad!!!! You’ll “talk” to her almost every day, and she will help you when you least expect it :-). My mom died in 2003. She was a little German lady of almost 85 who liked to help “the old ladies” down the street. She still drove, was in great health (her doctor later told us), so we were shocked when we found her lying peacefully in her bed. I miss her every day, but know I will see her again one day. I hope your mom gets to meet her. I send you peace to guide you through this sad time and look forward to your return when you are ready to share your thoughts and creativity again with us. Grief is the price we pay for love……holding you close in my heart. Oh, Ann, I’m so sorry for your loss. I love reading your posts. Your style has inspired my decorating, but mostly I am comforted by the solidity and grounding you seem to maintain in your life. Take the time you need to tend to your own and your family’s needs for awhile. I and, I’m sure, your other readers will bepatiently waiting, eager for your return to our inboxes. I am so very sorry for your loss. I love that you took care of her yourself. I know with my parents, a home is not an option, as I watched my parents care for theirs; I will do the same. Prayers and thoughts are going up for you and your family. Love and peace, Selina. My heart hears yours. No one can ever take the place of our mother. You are a blessing for your dad. Always remember, if we listen closely we can hear voices from Heaven. Ann, you are in my thoughts and prayers. So is your dad. I lost my Mom almost 6 yrs. ago, so I can tell you it does get easier but it takes time. I love that you put up a picture of her when she was young. Children sometimes forget that their parents were young and excited to begin their life as adults. She was a beautiful girl. still think of her daily. You will find your new normal…it’s not bad, just different. I find myself now, more than not, with happy thoughts and memories of my Mother…she was such a special person, as I know your Mother was as well. Prayers and healing thoughts sent your way…hang in there! the picture, she is very pretty.!!! To lose a mother brings you through a new passage of life. Prayers are with you. Please accept my condolances for your mom. She was beautiful. I believe she heard you even if she couldn’t tell you. Honey, my mom passed away going on two years come July. I go thru periods of being okay and feeling raw. There are days she is so much on my mind that I feel I could reach out and touch her. Then I am ok again until I cry and cry and say I want my mom back. I am so glad you could be there with her. I hope your dad will be able to still be alright. We will be happy to hear from you when your juices start flowing again but please don’t rush. You will not be forgotton. My prayers continue for your family. God Bless. So very sorry for the loss of your mom Ann. I am sure she heard your loving voices and that they brought her both comfort and peace. May the wonderful memories of your mom bring you and your dad some comfort and peace in days ahead. You, your dad and family are in my thoughts and prayers. Loosing a parent is never easy, but the memories will keep you going. I love the beautiful picture you posted. You look just like her. Lean on your readers when you need to. Many of us share what you are going through. Dear Ann, my heart is full. I will hold you and your family close in my prayers. You are certainly a treasure for your father. My mother fell and broke her hip four weeks ago, and I am trying to locate a good place for her. My heart is breaking. She has dementia, and can’t understand the situation. My prayers and sympathies are with you. My mom passed 4 years ago. The memories are sweeter and the pain is softer each year but she is still missed. I think as long as the love for her exists, she will always be missed. Your mom lives through you and your love for her. May peace and comfort be yours in the coming days. Ann, I connected with you a few months ago, emailing you about how I loved your blog. I was checking my email and saw your posting about your mom. Thinking of you with prayers and hugs. I was the caregiver for my mom who passed away in 2004. She was my best friend. Time, of course, heals our wounded heart. If you ever need to talk or share memories, please call on me. I am so very sorry for your loss. My mother passed away yesterday morning after fighting lung cancer. I , too am happy that she is out of pain, but I will miss our talks. My hands were the last hands she felt and my voice was the last voice she heard before she went. Those facts will get me trough this hard time. I love your blog. I love your creativity. Sharing with you in grief that only a daughter can understand. Prayers to you and your family. Ann, I’m so sorry to hear of the loss of your mother. That is a beautiful picture of her. My mother passed on August 2014 and we lost my mother in law in October of last year. It’s difficult for sure but we have wonderful memories of them both as I’m sure you do of your mother. My prayers to you and your dad. Ann I’m so sorry for your loss. in losing our moms, we lose the person who has loved us the longest and in a way no one else ever will. I pray the peace of the Holy Spirit will comfort and sustain you through the coming days. And that your heart and thoughts be filled with special happy memories of her life. God Bless. Joining all your followers/friends in wrapping you and your father up in a warm blanket of comfort and peace. Ann, Thoughts and prayers are with you and your family. I pray that God will give you strength during this difficult time. God Bless you Ann! My greatest fear at this time of my life is the loss of my mom. You are in my thoughts and prayers. Take the time you need to start the healing process. So sorry about your mom. I will be praying for peace, comfort, and strength for you and your family. “Grief never ends… but it changes. The above was shared with me when my Mom passed away uexpectedly in 1986 with a massive heart attack. She had just called me to tell me she bought my Christmas present and I told her I had hers. We were both so excited and just moments later I got that dread call. Life changes and you learn to cherish the memories and dealing with your Dad will be a task. My Dad was devastated and he withdrew and was a handful. He came around and we got lots of enjoyment out of him. They had been married over 50 years and were high school sweethearts. I often wonder if she had been sick if we would have been more able to accept the loss. Dad was very sick and we were conditioned, not ready, when we lost him. Cherish the memories and be thankful for all she taught you. I now open my mouth and my Mother spills out and I get a happy giggle knowing she impacted my life so positievely. My thoughts and prayers are with you and I hope you won’t be gone too long because I love your shares and blessings. Take care of your Dad because he is a prized possession. My sympathy to you, Ann. May you find peace and comfort in pleasant memories of times when your mother was well and in knowing others keep you and your family in our prayers as you adjust to the loss. God bless you today and in the coming days. I have not ever commented on your blog, but I have followed you and admired your work for quite some time. I wanted to express my deepest sympathies to you and your family for your loss of your mother. In this very sad and difficult time you and your family are in my prayers for peace and comfort. May you be surrounded by the loving embrace of the Father by all who come to you. So sorry about your mom Ann. I am praying for you, your dad and your family. You are right, you WILL be ok because the Lord has you in his care! Thank you for sharing your heart. Ann–I lost my mom a year and half ago. I understand the pain. It’s intense and unbearable at times. The absence of my mom is always there. I still miss her everyday. But, I can talk about her and share memories with a smile on my face. God gives us amazing strength. Prayers coming your way. So very sorry to hear the sad news. When my Dad passed, they told me that our hearing is the last thing to go so I would be willing to bet your mom heard everything you said. I pray that your wonderful memories of her lift you in your times of sadness. Your mom will be in your heart and help get your “creative juices” flowing. Just talk to her, she will answer in the most unique ways. My heart goes out to you and your family. Listen for the God whispers that give you glimpses of her in your life. I even get teary when I go down the baking aisle and something reminds me of my mom. And I lost her 25 years ago. Be grateful that you had a wonderful loving mother…not all children can say that. May blessings of her love continue to comfort you and your dad and God’s loving peace surround you both. I have been reading through all the wonderful posts to Ann and came upon yours. You are so right about listening for God’s Whispers. My mom has only been gone 9 years this coming April, but my dad has been gone almost 34. One of my favorite whispers was just over two years ago. I woke up and was missing my youngest who had started his second year of college. The emotion of that early morning directed me to my mom and all our wonderful times together. As I talked to her I asked that she let me know some way that I will be okay. I work for Meals on Wheels and later that same day one of my drivers greeted me with this very strong hug. I caught a whiff of her fragrance and asked her what she was wearing. She thought I meant the cute top she had on and I was caught up in her smell. As we both stood there looking at each other it came out of our mouths at the same time, “Emeraude”. I started to cry because it was my mom’s favorite fragrance. I shared my morning with her. From that day forward every time I see her I get a hug and the words, “I’m giving you a little piece of your mom today”. May you continue to be blessed with God’s Whispers. May you find comfort and peace today and in the days ahead, Ann. I will be praying for you and your dad. It’s so sad to lose your mom and I hope the wonderful memories of her will bring you and your dad many moments of happiness. May the Lord wrap His loving arms around you and your dad! So sorry for your loss. Ann, May you know that you and your Dad are wrapped in Jesus’s arms and love and that He is walking with you every step of these difficult days. He will be with you each and every day until you meet your Mom once again in Heaven. Praying your family finds comfort in God’s love. Wanted to say I am sorry about your mom, when I opened my email and read this, it brought tears to my eyes. My sister only 56 died December 22, when I got to Florida, she was non responsive, she didn’t know I was there, but like you… I talked to her, told her funny stories, and when they took her off life support, I kissed her goodbye and told her I loved her. I have peace in knowing she is just sleeping until this scripture is applied. John 5:28,29 , I gain much comfort from the scriptures as I’m sure you do. Isaiah 41:10 will comfort you and your dad. Again, my sympathy to your family. What a beautiful lady. Take your time and do what you need to do. We will be right here when you get back but until then, you will be in our prayers. It was 47 years ago that my mom passed and I was only 9 years old. To this day, I remember all the wonderful things she did and said. So as you go through this transition may the God of Glory bring only those memories of joy and peace to you as minister and care for your Dad. You, your dad and family are in my prayers. I will be waiting patiently upon your return. So sorry to hear of the loss of your Mom. Losing a parent is one of the difficulties life hands us. Be good to yourself and find comfort knowing that I and many others will be praying for you, your Dad and all who knew and loved her. Tears are streaming down my cheeks as I write this to you. I’m terribly sorry to learn of your loss. It is painful I know, but a fact of this life. I envy you for having your Mom for so many years of your life, my mom died suddenly when I was 19. I’m in my 60’s, so it has been a lifetime! Right there is one thing to rejoice in, all the years you had together! It will take time for your dad. His best friend and sweetheart are no longer by his side, it is an enormous adjustment. Just be there for him, as I was for my dad. I’m praying for you both and know that the power of those prayers will reach you and that power will envelope you. My thoughts and prayers are with you, Ann. I lost my Mom about eighteen years ago and I still think of her every day. I’m so sorry for your loss. I lost my own mom last year and, though I’m sad sometimes, I focus on the happy memories and things she taught my children and me. I’ll be praying for comfort and encouragement for your dad and all of you! Prayers to you. May your memories sustain you until you are together again. Ann, So very sorry to hear about your loss, thoughts and prayers are with you and your family. Ann, I am so very sorry. Losing a parent leaves such a void in our lives. Try to focus on the good memories you have and know that she will be watching over you and your Dad. I will hold both of you in my prayers. Please be assured that yes, she did hear you! Hospice and other sources advised us that hearing is the last to go and it’s important to continue to talk to a patient, play music, etc. The path of grief is different for each person so be gentle with yourself. Don’t force anything or worry about what others may think. May God and His angels surround you and your family with strength, peace and love. I lost my Mom last April. You are right, you will be fine, but there will be a void. I miss my mother so much! Take care of your Dad. Peace to you and your family! So sorry, I lost my mom in November 2013. We had 97 wonderful years. The memories will keep you going. Dear Ann…I am so sorry to learn of your mother’s passing. She was very blessed to have such a loving daughter. My thoughts and prayers are with you and your family during these next few days…and later as you find peace from the wonderful memories of her. Ann, I’m so sorry for your loss. I know your mom was very special to you just by reading the things you’ve written about her. Will be thinking of you and your family. So sorry for your loss. Sending prayers for you and your dad. Ann, my deepest sympathy for you and your Dad. Hold on to all your memories of the good times you had together. My prayers and thoughts are with you and your dad. I lost my dad first, then my mom. Not easy, but we all find comfort in our Faith. I’m sure she was a lovely woman, and I know how very proud you are to be her daughter. Your on-line friends are all here for you! Oh Ann!! My heart goes out to you! I pray that God’s peace will cover you and your dad in the days and weeks to come. Dearest Anne, I send you prayers and affection. You have supported all of us in so many ways and it is with sadness and relief that I read this morning’s news from you. Thank you for sharing your parents with us. Do not feel a need to rush back. We, your friends, will all be right here. With others I also send prayers for your dear dad. Oh Ann I am so sorry for your loss. I have you and your dad in my prayers. Heartfelt condolences to you and your family,Ann, she will always remain in your hearts. I hope the fond memories soon outweigh the sadness. Especial best wishes to your father- it must be very difficult to lose your life partner. My prayers are with you all at this sad time. I am so so sorry for the loss of your Mom ~ what a beautiful woman she is. God bless you and your family and will pray for your Dad that he remembers only the beauty she gave to him. May our gracious loving God wrap you and your family in his loving arms. With deepest sympathies and prayers for peace. You have my deepest sympathy. Your mom was such a beauty! From my own experiences, I hope you are able to continue thinking positive, and realize that your mom is a significant inspiration in your creativity … both very helpful to me. Please know you and your family are in my prayers. God Bless! I am so sorry for your loss, Ann. I’m 72, and I lost my parents long ago. I miss them still, but I have the good memories. God bless. So sorry for your loss.I have lost both my parents so I can empathize with your feelings.Hold tight to the good memories. God Bless. I’m so sorry for your loss. My mother died 12 years ago and I still think of her often. My sympathies to your father. I bet she heard you talking to her and I am sure she knew you were there comforting her. Sorry to her of your loss. My prayers are with you and your family. Ann, I am so very sorry for your loss. I lost my precious mama 19 years ago, and I have to say that the pain of the loss does get easier with time, but the “missing her” never does. At least that’s how it is for me. There’s no one that loves us like our mama’s. They are the first to love us totally and completely. I will keep you and your family, especially your Dad, in my prayers. So very sorry for your loss. God will give you and your family strength & peace. I know this because I have experienced it! HE is amazing.! So thankful for the hope & promise of eternity with HIM & our loved ones! The power of positive thinking is incredible- only let good thoughts in your mind. One day at a time- ???????? Ann, I’m so sorry to hear of your loss. My mom is 95 and while in good health and spirits, I know this time is not far for me either. She looked to be a beautiful lady, inside and out. I am so sorry for your lose and wishing you strength to pull things together. I am so sorry for your loss. I to have lost my mother who was the center of our family. I can tell you there will be ups and downs, but each down comes with a forgotten memory and how much she loved you. God does get us thru and wraps his arms around us. Ann, I’m so sorry. Please take time for yourself to grieve and rest. So, so sorry for the loss of your Mother. For a daughter to lose her Mother is very hard. My condolences to you and your Father. I am so sorry for your loss. I have never written you before but wanted to take a moment to express my sympathy. There is nothing like the love of a mother. I lost mine many years ago and wish I could have just one more day with her. I wish you peace and know she is in a better place. Ann I’m so sorry. Sending you hugs and prayers. Ann ~ First I’m sending you love and light. I was so sorry to hear of your mother’s passing and I will pray for you, your dad and extended family. I can also assure you, with certainty that your mother heard every word you said. I’ve lost both parents and one daughter so I understand your grief, confusion, anger and emotional swings. KNOW that she is with God, it is the one’s who are left behind that we need to care for. Speak of her often, it keeps her close by your side. KNOW that she smiles down on you and will continue to be a very special part of your life for as long as you live. She lives through you. Take just one day at a time and if that becomes too much, take just half a day at a time. As time passes, we heal and come to terms with things. Sending you BIG hugs Ann, we’re all here for you. Take all the time you need. My Dad was killed in an airplane accident last year. I completely understand. Focus on the happiness, blessings, thankfulness and all things positive. We love you! I am so sorry Ann. I am sure your mom is watching over you! So sorry to hear about the loss of your Mother. Losing a loved one is so difficult. My thoughts and prayers are with you. ???? So sorry to hear of your loss–a mother is always missed. Take care of yourself and your dad. I am so sorry for your loss. I know it must be very hard for your family right now. God bless you and your family. I will be praying for your family. You have a beautiful blog and I so enjoy reading it and your beautiful printables. Take the time that you need. I know that your readers will understand. I pray for God’s peace and that His love will envelop you during this time. I am sorry to read this. Death is never easy but a good death, surrounded with loved ones, is a blessing to all. Praying for your father and family, that peace and happy rememberences will abound. What a beautiful woman your mother was. Thank you so much for sharing her photo. I am so sorry for the huge loss of your mother from your life. I was a hospice nurse for years and we were taught that hearing was the last sense to go and that we should talk to our loved ones as much as we can. I’m sure your mother heard your words. Everyone’s grief process is different. Allow yourself to go through the process and take whatever time it takes. A virtual hug through the airwaves to you. My prayers and thoughts re with you. Ann I was only 28 when my Mom died and it was the hardest thing ever. I am so sorry for your loss but I truly believe that one day we will all be together. I have to believe it or I wouldn’t be able to go on. You and your family will be in my prayers. I’m so happy for you that you had the chance to be able to spend these final days with your mama. I hope that somehow as I type these words on to this post that I can assure you that she heard absolutely everything you said! Let science call it whatever they want, I have seen the end of life process two times ( and now in my third time with Audrey) in my life and there is no way in God’s creation that she can’t hear you:) BIG HUGS!!!!! I am so sorry for your loss. My mom died in 1980 at 49. I lost my dad in 2014 after being his caregiver for 4 years. He courageously battle cancer for those 4 yrs. the last 2 weeks of his life the cancer went into his brain and he came in and out every day. I had conversations with him on the days he was coherent. He went into our local Hospice house a few days before he passed. They said that they softly speak into the patients ear before they did anything with them. They believed they could hear them. They said they gave them the dignity they deserved. I miss my dad very much. He was my life for 4 yrs and after he passed I was lost. I’m still trying to figure things out but yes, there is life after loss. Yes, you will make it through. I learned that it’s important to go through the grief process. It’s painful but healing. God bless you and hugs. I am sorry to read about the passing of your Mom. You, your Dad and the rest of your family will be in my prayers. Take the time you need for yourself and your family and will look forward to having you back when the time is right. My deepest sympathies are being sent to you and your family. Saying goodbye to my Mum was the hardest thing I have ever done. May the love of your family, and your faith, and friends get you through this hard time. I knew this post was coming soon and you take as long as you need Ann. Take care of yourself and your dad during this time of grieving and always. So sorry!!! It’s got to be hard . You’re in my prayers!!! My heart aches for you. I lost my day several years ago and I still miss him. But that is good because it means he was a great, wonderful part of my life. Your mom blessed you, too! I am so very sorry for your loss. I lost my dear Mom in 2003, and my Dad passed in October of 2014 at the age of 95. After she passed, we also worried how he would cope, but he found an inner strength, and together, we got through it. Life was never the same, but we looked at it as part of the cycle of life. My thoughts are with you, and God bless you and your family. I’m so sorry to hear about your mom Ann, you and your family are in my thoughts and prayers. I lost my mom to Alzheimers 9 years ago, finding my new normal took awhile, take as much time as you need and we will be here for you when you return. God bless you and your family! Praying for you and your family to find peace in her passing. Thinking of you as you go through this week and the weeks ahead. It’s never easy. Thinking of you and your family at this most difficult time. I’ve been exactly where you are today and I know all the emotions you are feeling. Stay strong and just take one day at a time. So sorry to hear about your moms passing please know that we wish you take the time that you need to deal with your grief and to go on and take the next step forward your mom would want that but it is a process I know from experience so be with your father and any other family and we will see you when you return your in our thoughts. My thoughts and prayers are with you as you begin this very difficult journey of life without your Mom. You will never get over it, but somehow you do learn to live with it, with the memory of her in all you do and say. I look at my hands, and see my Mom. I look in the mirror sometimes and see her in a moment of twinkling in my eye. Praying for your precious Dad, too. Ann, So many kind words in all these posts! They must bring you comfort! Just a sign of how much you are loved and appreciated. I lost my mother 23 yrs ago and she also couldn’t speak but assuming she could hear I talked to her daily. Your mother was so beautiful. May God bring you much comfort! Ann, I am so very sorry for the tremendous loss of your dear mother. My deepest condolences to you and your family…thoughts and prayers are with you. I am sure she heard the words of you and your father and she will continue to hear them. So sorry for your loss. May God watch over you and your family and may His love bring you peace at such a difficult time. You are in my thoughts and prayers. It is never easy to say goodbye to those we love and that is especially true when it comes to our Moms – the first love of our lives. Our Moms are always with us, however, in that which they have taught us and through their everlasting, unconditional love. May that love bring you peace and comfort in the days ahead. So sorry to hear about your mom! I lost my mom in 2014 and its life changing…take your time to deal with everything, be gentle on yourself bc it’s a lot to deal with and we will be here when you get back. Ann, I am so sorry to hear about your mom. You, your dad and family are in my thoughts and prayers. My thoughts are with you as you walk the path. It helped me to hold on to the happy memories and be thankful for our time together. Ann, so sorry for you loss. You have lost your best friend, as you know. A MOTHER like the Lord forgives any and all mistakes child makes. You still have your memories. I will be waiting for your return! As one of your readers, I feel I have been a guest in your home many times. I was very saddened to hear of your loss. Thoughts and prayers are with you and your family. I lost my mother about this time last year. You will find peace in your own time. And we will be here when you get back. Hugs to you and your family. Ann, may all your beautiful memories of your mother clothe you and your family in peace and comfort. Please accept by condolences. My own mother just passed away January 16 at 100. She had been living alone in our family farmhouse and driving (well) right up until she had to go into the nursing home about four years ago. The quality of her life during those years in the nursing home was greatly diminished, but she adjusted and coped well and always commented about how lucky the people in her life long rural community were to have such a wonderful facility. I think her love of life and ability to accommodate herself to whatever it threw at her were a big part of her longevity. My father died early and she had spent another lifetime alone. I hope your father can eventually overcome his grief and enjoy life again. My deepest sympathy to you and your Dad at this time of your great loss. Mom was a beautiful lady. Take time to grieve and them come back to us as we love your spirit and creativity. So sorry to hear this. May happy memories and God’s love help you get through the tough days ahead. You’ve shared your mom with us –her roast recipe, the lovely quotes in printables about motherhood… and the sweet legacy of love she left in you is a ripple that extends to your readers. I will be praying for indescribable peace from the Lord to comfort you and your family’s hearts. She was beautiful, and obviously a wonderful mother–she raised a very special girl in you! Hugs???? I am so, so very sorry for your loss. May your mother’s memory be a blessing. These “things” here can wait, take your time to honor and grieve your mother. You are such a blessing to us all, now go and be blessed with time for your family. Ann, I am so sorry for your loss. Lifting you and your family up in prayer. You wrote a beautiful post and my heart is saddened for your loss. I will pray for you and your family that you may find peace. Oh, Ann, I’m so sorry to hear this sad news. I’ll be keeping you and your family in my thoughts and prayers. God bless. Deeply sorry for your loss, Ann! My prayers and thoughts are with you and your family. I am so sorry for your loss. The loss of a Mother is especially hard. You and your family are in my prayers. So sorry for your loss. Keeping you in my thoughts. Take all the time you need and we will all be here when you get back to see your new ideas. So sorry for yourself loss and will continue to pray for you and your dad, especially. My thoughts and prayers are with you. I hope that your beautiful memories of your mom will give you comfort and peace. Ann…sending you condolences and praying for you and your entire family. Thank you for sharing the beautiful picture of her – I personally believe that our loved ones hear us if we are with them at the end through the will of God. May you feel God’s peace in the days ahead. You have my sympathy, since I know how it feels to lose a mother. My prayers are with you, and remembering the times you had with her will help. I pray that God will give you comfort in his own way and bring you peace. I am so sorry for your loss of your mom. You do not know me, but I read your blog and enjoy it. The sorrow never goes away when we lose our mom, but we are who we are because of them . Take comfort in knowing that she knew you were there for her and her love will be with you forever. I am so sorry, Ann–your lovely mom and mine were the same age. We will still be here when you return. I will be thinking of you. Ann, I’m sorry for your loss. Your family will be in our prayers. I am sorry for your loss. You and your Family are in my prayers. You are in my prayers. I’m so sorry for your loss. Of course she heard you Ann, every nurse and every doctor will tell you the hearing is there. So sorry for your loss. Prayers to you and your family! oh how it hurts my heart to read this. just so sorry. praying. I’m sorry for your loss, Ann. You are in my thoughts and prayers! My deepest condolences, may the Lord grace and peace be over you ???????? Oh Ann, I am so very sorry for your loss. I will keep you in my thoughts & prayers. I believe wholeheartedly that she heard you & your dad when you talked to her. Hey Ann. I am so so very sorry about your moms passing. I believe they do hear us when we talk to them. I thing God allows them to hear words of love and gratitude. I pray for all of you as you find the new path, your new normal in the days ahead. Take your time and just be with one another. Time to just be….. When my father passed, I kept wishing I had asked some of the many questions I had put off. My mother was ill (we thought she would go first – he had seemingly been in decent health, taking care of her) but she did have some good time before she became too ill for those memory kinds of conversations. So – here is what I suggest to help ease your pain and move forward. Ask your dad about all the things you always wanted to know about him and he and your mom as a couple. It brings back happy memories and both of you will laugh and cry. When my mother came to spend a week with me (I live in PA and she lived in FL), we made a scrapbook of her visit with me. We did lots of things she had never done on her own and we took the time to journal about them. It helped her to think forward. We also worked on a scrapbook that was filled with memories from 20 years earlier. That helped, too. We all grieve differently, to be sure. This is what helped my mother and me in the first 6 months (particularly on his birthday). Ann I am so sorry for your loss. There is no ascending order of difficulty for the loss of loved ones, no one is harder than the others, but each one holds its own challenges. Someone once said grief is like weather, it passes but you know it’s going to come back. You must let the hands of others help carry the weight. It’s your turn now to walk in the world for your Mom. You and your Dad have the opportunity now to let your sorrow as well as all the joy and laughter you can hold, be a tribute to all she meant to you. I wish you both peace in theis very difficult time. prayers and thoughts are with you. My condolences to your family and big hugs. Take time with family and rest up. It’s wonderful you could be there for your mom and dad during this time. I will be praying for you and your family this week. Ann, I lost my mom last May; it’s a pain that never seems to go away. I am praying for you. When my dad died, I was told that hearing is the last sense to go. Take comfort in the fact knowing that she did hear you. Dear Ann, my sincere condolences. You and your family are in my prayers. Wishing you peace and rest and a renewed spirit when you come back to your blogging.